What are the benefits of making a Will in Singapore? You’re not that rich. Not by your own standards anyway, which unfortunately, is set at a pretty high bar. You do have some assets but probably not enough at the moment to make you rush out to make a will. You’ll do it soon enough. After that first million. Maybe the second. So you decide you don’t have to make a will now. After all, you’re not that rich. Now imagine a hypothetical scenario where you’ve passed on. You may not have that many assets but it’s still more than sizeable enough that your children are squabbling over it. Brothers and sisters, once so close, are at each others’ throats simply because you kept putting off the drafting of your will. Sure, this may sound like an exaggeration, and in many cases, it’ll probably only be a worst-case scenario but the fact remains that this is a scenario that does play out in the Singapore courts from time to time, even among the estates of people with ordinary means. So why should you make a will? 1) Because life is uncertain. It’s easy to put off the drafting of a will. You may have considered having one done before but procrastination soon set in. You tell yourself you’ll have one done after you’ve made a certain amount. Then after hitting that certain amount, you’re informed about a new business opportunity and you spend most of your time on that. Then a second child comes along and you forget about it altogether. Unfortunately, the spectre of death waits for no man, and sometimes the realization that a will is necessary comes a little too late. 2) So that you can decide how your assets are distributed. A will is a legal document that allows you to set out how you want your estate to be distributed after you pass on. 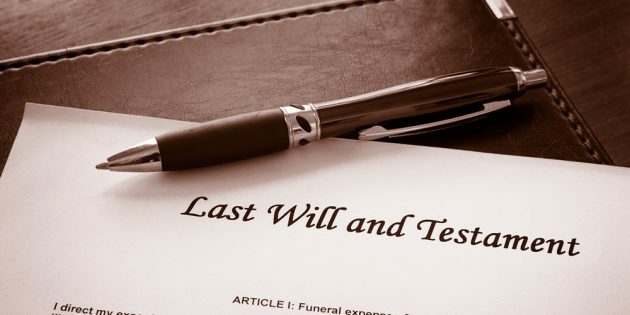 You may wish for certain specific family members and friends to receive different proportions of your estate and a will allows you to determine exactly how your assets will be disposed after your death. If you die without making a will in Singapore, your assets will be distributed in accordance with the Intestate Succession Act, following a specific set of rules. This may not be how you wish for your assets to be distributed. 3) To appoint a guardian for your children. Making a will allows you to make a decision on who you would prefer to be the guardian of your minor children upon your death. While the surviving parent, if any, will usually be the guardian of any minor children under Singapore law, you can appoint a trusted friend or family member to act jointly with the surviving parent as a guardian of your children. 4) To decide on who will administer the affairs of your estate. You can appoint an executor and trustee in your will. An executor will help handle the administration of your estate, such as paying off your bills and debts, handling funeral expenses and notifying banks and insurance companies. 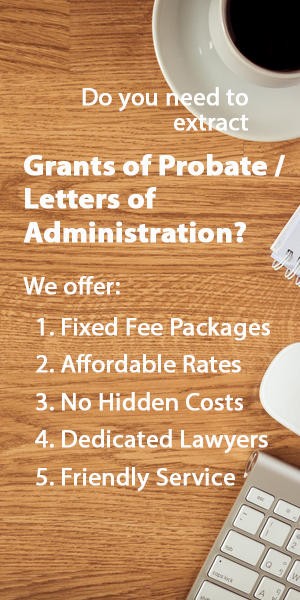 When there is no will, only certain people (specific family members according to the Intestate Succession Act) can apply for letters of administration to administer your estate, and the person who ends up doing so may not be the specific people you want to do so. 5) To make gifts to charity. You may wish to give a certain sum of money to a particular cause you feel strongly about. A will doesn’t just need to be for your friends and family. Donating to a charitable cause allows your legacy to live on as well as to assist in the greater good. 6) To avoid potential conflicts and delay. As stated at the beginning of this article, the last thing anybody wants is to have his or her offspring or other loved ones fight over his or her estate. Contentious probate claims are usually exhausting for all the parties involved and even if there are no squabbles over the distribution of assets, the process of administering the estate without a will tends to take up more time than administering the estate with one.